As a middle-aged (in denial) Kiwi bloke who is new to the legislative side of Health and Safety in New Zealand, I had some very basic questions around ‘what’s the big deal?’ and needed to understand why New Zealand’s Health and Safety system was overhauled in 2015. I had to be getting up to speed quickly. I look back to my youth and I remember the dumb stuff that my friends and I got up to (I’m actually astonished that I survived my teenage years as unscathed as I did). When I tell my kids my stories, they’re horrified. Thankfully, I think this new generation is a little more risk-aware than we ever were! Reflecting on my past spurred me on. I started reading to get more of an understanding of the issues. 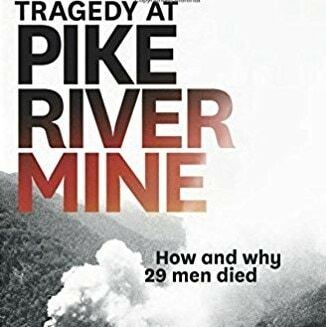 The first book on my list was Tragedy at Pike River Mine: How and why 29 men died, by Rebecca Macfie (to order your copy click here). The Pike River Mine explosion and the ensuing investigation was certainly one of the catalysts of the reforms. This was a horrifying read. I cannot believe that the systems and processes there were so poor, and what concerns me is that other New Zealand businesses may have had similar attitudes; too many holes in the Swiss cheese. Hence the desperate need for a change. I have pored through the Worksafe NZ website to learn more about the new approach. It’s not all sticks and tickboxes. It’s not scary. It’s actually all about people. How to ensure we get home safely from our work. How to #keepclimbingtrees – and do it safely. If you’re holding on to the belief that the new Act is all about compliance, regulation, paperwork and additional expense, read it over and have a re-think. The problem with this attitude is that our casualness impacts (and puts at risk) not only ourselves, but the people around us. Our family and friends. Our colleagues. The strangers around us. Yes, in the past, I have been a bit blasé about my own safety (thinking about trimming the hedge and what I’ve done inappropriately with ladders and power tools – bloody Kiwi DIY eh?) and I realise that I need to be the change myself and bring that change to my clients. If you’re in business and are struggling to get your head around all things Health and Safety, have a read here and do give us a call on 0800 023789 or email info@allaboutpeople.co.nz. We are happy to talk things through with you.